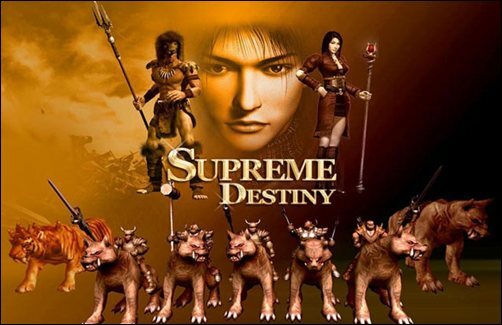 Game Description: Supreme Destiny is a free to play Mythology-based MMORPG game developed by JoyImpact Co. Ltd in South Korea and published by Vibrant Communications Ltd. for international gamers. The game focuses on 2 rival kingdoms in a medieval setting that are fighting for supreme power. Much of the game encourages interaction and focuses on fast paced orientation and party system without the traditional tiresome leveling system. Also the game features a castle siege and guild war systems in the cities of Armia, Arzan and Erion that advances the guild systems. 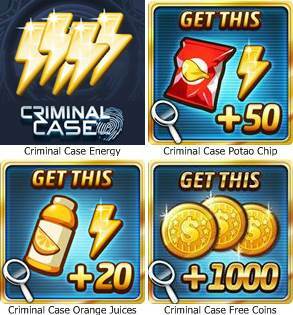 Graphics – it has a detailed graphics of characters and environment. Day and night visual effects all in 3D effects. Combat – Hack and slash type with wide variety of skills for each 4 class (Trans Knight, Hunter, Foema and Hunter). Besides hunting monsters and PVP it also features a Guild War system and a Guild ranking tournament. Game System – Mouse based control with hotkeys for spells, items etc. Trans Knight – A warrior of the divine order, The Trans Knight is gifted with “Area of Effect” (AOE) skills which enables him to easily take on even a mob of monsters. Trans Knight are the quintessential frontliners and tankers as they readily sacrifice what little life they have to inflict greater damage to enemies. Faith Mastery: Heaven Dust, Holy Touch, Slow Slash, Rescue, Lust Furnish, Aura of Life, Attract, Destiny. Trans Mastery: Charge, Speed Up, Deadly Stroke, Assault, Rapid Piercing Growth, Combat Sensibility, Critical Armor. Magic Sword Mastery: Double Swing, Fire Attack, Counter, Freeze Blade, Soul Strike, Poison Stab, Explosion Bash, Freeze Spiral. Foema – When it comes to unleashing the power of nature, the Foema has no equal. They have this uncanny ability to use their arcane mysterious skills in times of great need and many of their foes have learned of this the hard way. White Magic Mastery: Magic Arrow, Heal, Cure, Flash, Holy Shack, Recovery, Holy Judgement, Bless Revival. Black Magic Mastery: Fire, Thunderbolt, Ice Sphere, Meteor Storm, Rock of Bllizzard, Lightning Storm, Flare Phoenix, Meteor Strike. Special Magic Mastery: Poison, Party Summon, Haste, Magic Shield, Magic Weapon, Skill Amplify, Mana Control, Cancellation. Beast Master – is the master of summoning; elemental and natural powers greatly aid him in the battle field. He not only has the lethal weapons and enhancing spells at his disposal but also has ferocious animals like bears and dragons at his beck and call. Element Mastery: Kiss of Salamander, Dominate, Voice of Shylph, Waste, Anger of Gnome, Elemental Protector, Elemental Stream, Fury of Undine. Summon Mastery: Condor Summon, Wild Boar Summon, Rage Wolf Summon, Savage Bear Summon, Trample Tiger Summon, Stunning Gorilla Summon, Black Dragon Summon, Succubus Summon. Nature Mastery: Werewolf, Fangs of Wolf, Werebear, Bear’s Roar, Astaroth, Mist of Hell, Titan, Evilator. Hunter – Stalking her prey and inflicting a silent end to her victims is the hallmark of a hunter. Her capture skill has made her one crafty predator and her trade skills allow her to obtain cheaper prices and good deals from NPC merchants when selling and buying items. Survival Mastery: Fatal Attack, Illusion, Enchant Frost, Hide in Shadow, Immunity, Transfer Armor Class, Piercing Attack, Life Drain. Capture Mastery: Sneak Attack, Dodge, Another Soul, Hunter’s Vision, Improve Range, Flanking Chance, Drawing Knife, Rapid Hit.